Bitcoin plummets under $5,600 for the first time since October 2017 breaking the strong support line that holds all the long 2018 bearish months. The overall market cap lost 25 billion while Bitcoin was going down, Altcoins followed as usually with bigger losses. Bitcoin, the world’s biggest digital currency drop by 15%, with the most of the fall in a half hour period of time. It’s the largest drop since February. Other Cryptocurrencies drooped more heavily, like Ether, Litecoin, and XRP dropping over 17%. Bitcoin Cash which is having a controversial hard fork on 15 November, fell 21% making it one of the biggest losers these days. But what caused this sudden drop? It is clear that the crypto market does not follow too much the technical analysis and fundamentals. The two patterns that mostly distinguish the crypto market are “Panic” and “FOMO”. Like the “FOMO” in the hype when the price was pumped in December 2017, the same happens when a sudden sell-off happens, people get panicked and sell, also stop losses are triggered and the price dips more. On Bitmex which is a derivative exchange, the price was pushed down near the $5,200 mark, $400 more than the traditional exchanges like Binance. While the cryptomarket is waiting for BAKKT to launch in the next weeks and attract institutional investors to enter crypto, the price of Bitcoin suddenly drops heavily. As many say Bitcoin maximalists say the “old financial system” will not let bitcoin succeed and all these sudden drops are a clear work of “The Cartel” that makes coordinated moves. Many say that “The Cartel” is suppressing the price of Bitcoin, but why would they do this market manipulation appear so evident like dumping a massive amount of bitcoins in minutes. 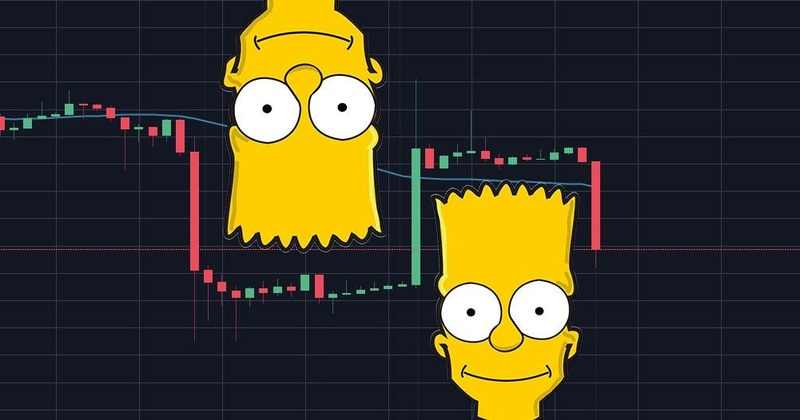 Or like a Bart pattern which we were used to seeing frequently in the charts this year. A theory would be that “The Cartel” wants to be detected, but why to uncover their game when they can get profits playing this game over and over again without drawing too much attention. A reason might be to send a message to the SEC that this market is easily manipulated and don’t approve any ETF. The tree will be shaken Time & Again!! What do you think about this sudden moves of the Bitcoin price? Feel free to post your point of view in the comments below.